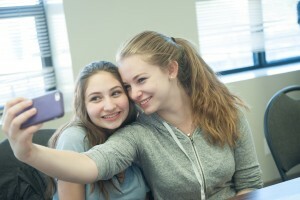 Easy Way To Earn High School Credit: At Jewish Virtual High School (JVHS) we strive to expand the breadth and accessibility of Jewish education for young people through an online suite of courses and examinations that fully comply with Ontario Secondary School Diploma (OSSD) requirements. Our goal is to respond to the changing educational landscape facing many Jewish high school students with personally and socially relevant courses that dovetail with the traditional values of their community. Flexibility: Learn from your home or on the go. Even students attending school overseas can register and receive OSSD credit for courses completed through the JVHS. Convenience: Students may complete their JVHS courses at their own speed with up to 18 months to complete any given course. Viability: All courses offered by JVHS are OSSD approved and will appear on your official academic transcripts alongside credits earned in a brick and mortar educational institution. Access: All students are given a JVHS email account to facilitate communication with their teacher. Ready access to the Principal is also provided to assist in solving more serious issues. Fewer barriers: Distance from the learning centre becomes a moot point with online courses. No more snow days, waiting for the bus or punitive deadlines to meet. Easy enrolment: Enrolling in an online course takes only a few minutes and can be done from the comfort of one’s own home. Learn at your own rate: Students who might feel held back or overwhelmed in a brick and mortar school are able to learn at their own speed online. Open ended school year: Whereas traditional high schools open their doors in September and close them in June online schools are open year round to accommodate student needs. Study what’s important to you: Students are able to learn about things of importance to them from a cultural and traditional standpoint, and receive credit for doing so. High standards: Online courses meet or exceed the academic quality of courses being offered in any traditional brick and mortar high school.